In the past, the big manufacturers like Airbus and Boeing were merely manufacturers of aircraft. But since the widespread and rapid development of drones, the manufacturers themselves are developing the blueprints not just for the literal drones, but for the ways they will be operated and integrated into the airspace. Altiscope, the unmanned traffic management group of A³ by Airbus (which is the innovation arm of aircraft builder Airbus), today released a massive document detailing their visions for UTM including stakeholder roles, airspace configuration, and system architecture. The main takeaway? Like other industry leaders such as NASA, A³ by Airbus is arguing for a decentralized system of air traffic management, as opposed to the centralized system used in the U.S. for manned air traffic, where aircraft operators must talk only to a single entity, such as an assigned air traffic controller. Altiscope sees UTM not as a single, central system that mandates one way of operating for everything. Instead, it sees UTM as a networked collection of services that join together and understand each other, based on common rules. “Decentralization privatizes the cost of serving and adapting to market needs, while government regulators remain key for ensuring that safety, access, and equity are maintained,” according to the document. The Altiscope blueprints touch on points of concern, such as flying in highly dense areas. One of their solutions? “Corridors” — a defined volume of airspace that has a control service that governs and coordinates its use. A drone would have to get clearance from the corridor’s control service to enter, and it could have to have certain qualifications to be able to fly there, such as a specialized navigation sensor (in the event GPS signals are degraded by nearby buildings and multipath reflections). Altiscope’s visions are not completely unique, and in fact, are largely agreed upon by key drone industry players. NASA has been working on a plan for unmanned drone traffic management (UTM) that could be adopted by the Federal Aviation Administration, where multiple service providers would allow drone operators to connect with each other through a common application interface. 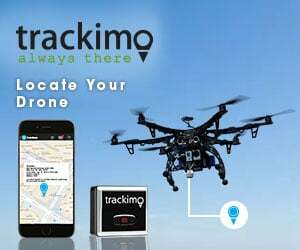 Users would digitally send information about their flight destination and receive data of other drone’s flight information. “What that does is gives the operator and support services complete awareness of all the other operations going on in the airspace at the same time,” said Parimal Kopardekar, manager of NASA’s Safe Autonomous Systems Operations project, in a past interview with The Drone Girl. Those private organizations are mostly startups like California-based startup AirMap, North Dakota-based Botlink and Skyward. Large corporations like Google and Amazon may also develop their own software to allow their drones to interact with the central API. “They are the services providers, like Verizon, AT&T and Sprint,” Kopardekar said. And the blueprints don’t apply to simply quadcopters either. Want to ride in an air taxi? Urban Air Mobility likewise can’t be serviced by existing air traffic management. Therefore, unmanned traffic management is the key foundation to a new age of aviation. The entire document is pretty interesting — and long — so grab a cup of coffee. You can read A³ by Airbus’s entire UTM blueprints here. What are your thoughts on Airbub’s document? Do you agree or disagree with their approach? Is it missing anything, or leaving questions unanswered? Leave a comment below!